We’ve all experienced it: 3 seconds into a track you’ve never heard, you know instinctively that it was recorded and mixed in someone’s bedroom. Amateur recordings often sound “amateur.” But what differentiates these hometracked opuses from professional recordings? It’s not just fidelity or sonic quality: Many competent engineers produce lo-fi or distorted mixes on purpose, when it suits the song. Rather, amateur recordings tend to share some key traits, telltale signs that the mixing and recording are the work of a novice. Too much bass: Nothing says amateur mix like a boomy, overpowering bottom-end. Novice engineers often monitor and mix through headphones or small speakers which under-represent low frequencies. It’s natural to compensate by boosting the bass instruments, but this in turn yields muddy, indistinct mixes. If you find your mixes sound boomy on other systems, try checking everything you do against a commercial reference CD to better gauge the appropriate bass levels. Poor drum levels: For great drum tracks, everything in the recording chain matters: The room, the drums, the microphones (and of course the drummer.) So before recording a band, professional engineers spend days or weeks tweaking each element in the chain for the best drum sound, and to ensure that no single drum overpowers or vanishes in the mix. In fact, drums are arguably the hardest instrument to record. A large kit can require 10 or more microphones, so it’s little wonder the drums in amateur recordings often come up short. But even if we don’t have a $50,000 mic collection to capture big studio sound, we amateurs can still at least get good levels. If you have difficulty getting your drums mixed right, try this: Listen to a modern recording that’s sonically similar to the track you’re mixing, and slowly lower the volume. Notice, as the level approaches 0, which elements of the mix are the last to disappear. In contemporary music, it’s usually the kick drum, snare drum, and lead vocal. Now, try to replicate this in your own mixes. Clashing instruments: This is an issue with arrangement as much as production. A song’s parts can lack distinction because the individual instruments don’t have their own space within the song’s arrangement. It’s a tell-tale sign of an amateur mix because many of us write as we record, progressively adding new layers to a song, rather than arranging ahead of time and recording only what’s needed. There’s nothing wrong with this approach, per se, but it clearly separates the amateurs from the pros: A professional producer refines the arrangement before setting foot in the studio. If you find your instrumentation lacks distinction, consider revising the arrangement to add some space. Let your tracks breathe. Uneven vocals: The biggest difference between superstar singers and us wannabes isn’t pitch or tone or vibrato. (Let’s face it: Some of the best selling artists are terrible singers, at least in the classical sense.) Rather, what separates good from great, most often, is dynamics. A great singer knows how to control the volume of her voice, and more importantly, when to change her volume. And this has as much to do with the singer’s skill in front of a microphone as it does with her voice. When we hear uneven vocals, we hear a bad bar band with the singer mumbling 2 feet back from the microphone, or half-swallowing the mic and screaming. In other words, an amateur. Recording vocals more evenly isn’t hard. First and foremost, the singer must practice! Before you hit record, ensure the singer knows every change in the song, and even when it’s best to inhale throughout the song for optimum breath control. Overused reverb: When used to add ambience or depth, reverb is best applied sparingly. Beginners often miss this, opting for the “some is good, more is better” approach (which is understandable: Remember how lush and important your voice sounded the first time you heard it through a “Carnegie Hall” reverb preset?) But in modern commercial recordings, reverb, unless it’s used as an obvious effect, is usually inaudible, adding texture to the sound without actually being perceptible. Best advice: Raise the reverb level until it’s just present, then back off a notch. And resist the urge to soak your vocals in deep chamber and hall reverb effects. Cheap reverb: Even an untrained ear can hear the difference between a $3000 Lexicon unit and the free reverb built into your multitrack recorder. Cheap reverbs sound, basically, cheap. Especially on lead vocals. If you don’t have access to a decent plugin (though SIR, considered one of the best, is free,) consider avoiding reverb altogether. Or at least, per the point above, avoid obvious reverb. “Fake” drums: More specifically, obviously programmed drums attempting to pass as live drums. This isn’t an issue in electronic and dance music, where listeners expect to hear steady quantized beats from drum machines. But pop and rock music have dynamic rhythm requirements, and listeners are conditioned to expect a more natural, nuanced sound from the drum track. The ride cymbal and snare drum are the most obvious amateur giveaways. A snare drum’s tone depends on where, and how hard, the stick hits the head, and this goes double for the ride cymbal, especially near the bell. So when a drum track features 32 bars of 8th notes using the same ride cymbal sample at the same volume, listeners always sense something’s not right. If you don’t have access to a drummer and drum kit, you can still create believable programmed drum tracks with a little effort. This article from Sound On Sound has some great tips on humanizing for more realistic drum beats. The proximity effect on a directional microphone. Most vocal mics boost the low frequencies of close-miked sound sources, so back off the mic a few inches for a clearer sound. Singing without a pop filter. Plosives produce a blast of air that sounds careless and lazy. If you don’t have a pop screen, you can easily make your own. Poor or inappropriate EQ. Novices often attempt to clean up a vocal track by boosting high frequencies, hoping to add definition. However, this usually has the opposite effect, increasing sibilance and giving the vocal a sharp, edgy sound without improving the clarity. It’s far more effective to clean a track with a low-frequency cut, and you can safely remove everything below 100Hz from vocals. In fact, your microphone might even feature a low-frequency roll off switch for this purpose. Your mix sells the vocal performance. So make sure the lyrics can be heard. Too much bad room sound: Unless you have a well-treated space, or record in a very large room, your room probably doesn’t flatter your recordings. (See The Portable Vocal Booth for details.) However, a bad room doesn’t automatically equal bad recordings. Many classic albums were recorded in less-than-perfect environments by engineers wise enough to limit the room’s presence on the recording. Strive to minimize the room sound in your recordings by close-miking whenever possible, and choosing microphones with polar patterns that reduce the capture of extra room noise. Timing problems: Professional musicians practice a song for weeks or months before recording it. But as noted above, many amateurs write while they record, essentially eliminating practice from the process. Additionally, whether through impatience or inexperience, beginners tend to approach recording with a “fix it in the mix” mentality, which naturally leads to sloppy takes. You don’t need to aim for perfection to sound like a pro. But you do need your “keeper” takes to be free of obvious timing errors. A single snare drum hit lagging by a 16th of a beat is enough to make your whole track sound amateur. Worded another way: Good bands are tight, so when you don’t sound tight people assume you’re not good. Spend some more time practicing your new song before hitting record, and you’ll capture better performances. And sound more professional as a result. Great article. These are great tips for anyone that is going to record or is recording at home. These 10 hallmarks definitely pinpoint some problems with home studio recordings. It also helps in knowing how to make home recordings a lot better. I missed this post earlier — great recommendations. What a great article. I’m looking forward to reading through your blog. I hope you don’t mind, but I’ve referenced this article on my blog. I don’t mind at all, Kat. That’s a good site you’ve got there! I took a long break from recording because of (some of) these very mistakes. I would get too fustrated because I didn’t know what was wrong. This succinct list is dead on. Good article, these are all essential heads up items when starting out. I definitely agree that many home recording suffer from a boomy bottom end and very splashy reverb (especially on the top end). I would add that filtering and EQing the signal sent to the reverb can help a great deal in getting the reverb to sound natural. Sound behaves very differently in the natural world than inside electronics. I guess the key is that as boomy as the bass sounds on some of these modern commercial releases, it still sounds professional because you can still hear the vocals. It doesn’t sound ameturish…but sounds intentionally and agressively mixed and mastered and on very expensive equipment I think. But I agree that a booming bass that overpowers everything else (so you can’t hardly hear the vocals for example) sounds amateurish. agree on everything except the Cheap reverbs they can be side chained with really good results, and also the ultimate cheap reverb “the spring” is actually hilariously a sort after sound now …but having said that you were talking about a different thing, so I agree on that point anyhow. oh also new technology has arrived to allow drum “machines” to vary the attack on pretty much every hit so in essence eliminating the effect you speak of… also modern Drum software uses 24bit recorded samples of studio drums. Then if one can just learn a little compression EQ and mix technique you are there. Me, I’m still learning like the rest of us. Also remember keep the energy the drums are the energy. Also JY it’s important to distinguish between what I call a “BOOM” and a “Punch” they are very different frequencies. There’s also the SoundOnSound article I referenced above which gives some great thoughts on humanizing a rhythm, even on an older drum machine. The real issue with cheap reverb arises when you try to pass it off as a “real” space. You’re right, even the cheapest verb can be pressed into service when you need a distinctive effect. 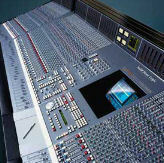 But if you run all your instruments through it looking to add dimension or realism, your mix will suffer! I should pass this along to a couple amateur bands I know. Maybe not so much the bands, but the engineers (probably band members). I’ll keep these things in mind during my next recording session. Better yet, google “slowdive” and take a listen to one of their songs. Then rethink what you said about the use of covered vocal tracks and heavy reverb. “Fake” drums are now so technologically advanced, and include so many different real samples, that they sound better than “real” drums for most amateurs (including me) who don’t have 5 mics. You can tweak the “velocity” of each drum hit to vary things up (usually, good midi drum samples include 5 different samples of a real person hitting each drum, at varying volumes). In order to make drums sound good, you need to turn their volume to the point of clipping and use a limiter. Lack of a limiter is probably what makes most amateur recordings sound amateur. Basically, even an amateur would have known everything in this article. The amateur hoping to glean useful information from this article would be sorely disappointed. There is alot of useful stuff here Max. Even the lazy bum can teach you something if you are willing to study his actions for a little while. If nothing else, then out of sheer laziness, he will quip a move that will be so efficient you will be saying to yourself “Basically, even an amateur would have known everything…………….” but you will have missed it because you were too busy running your chops. So please don’t waste our precious time with reading your vapid comments about disappointment because your literature becomes a self fulfilling prophecy in regards to disappointment. Mixing whilst monitoring with a mono speaker in your recording studios can really help improve your mixes. Also try listening to tracks you respect through your own speakers to gain a reference point. Peace. AcoosticZoo – Recording Studios Brisbane. I learned a lot from this article; especially when it addressed the “write-as-you-go” mentality of a lot of people. While I still believe you can write as you go I’ll be a little more knowledgeable once I start. In 1997 I months per track doing MIDI tweaks to individual drum hits on a Roland R-70 to avoid the mistake concerning the “reality” of drums. Rides, traps, crashes, snares…even the velocities on the bass drum have to differ with each note with out disturbing the rhythm of the song. I wish this article would have been written around 1995 – nonetheless readers should take note, this article is loaded with great advice for getting it done on a short budget. Kudos to the writer. Not sure if it has been mentioned, but overcompression of the mix buss using brick wall limiters has been the biggest thing I have heard my mastering engineer complain of. I have taken his recommendation of light compression at a low ratio first (2:1) for no more that 2-3 dB of gain reduction, then further reducing another 2-3 dB with the brickwall limiter. Absolutely useful tips and recommendations. It`s so simple to make fake recordings.